Rotating equipment such as Compressors, Turbines, Drives, etc. Pneumatic Rotating Cylinder is designed to actuate the work-holding devices. The Cylinder works at maximum pressure of 10 Kgf/cm2. The company is renowned as a Rotating Cylinders Manufacturer and Supplier in India. Our Rotating Cylinders are used to rotate the friction roller, induct roller, with milling slot accuracy. These Rotating Cylinders are used in the manufacturing of printing machinery across the country. Compact 90° swing cylinders for Clamping. 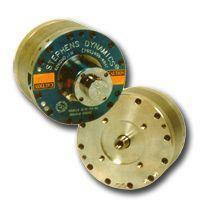 Swing cylinders provide maximum clamping force in the smallest possible package. Chennai Clamptech Designer (P) Ltd concentrates in the manufacture and supply of power chucks and cylinders. The company offers hollow high-speed hydraulic rotating cylinder – CCDHN. 250 mm bore x 180 mm stroke. We are manufacturer & Exporter of Pneumatic Rotating Cylinder is designed to actuate the work-holding devices. The Cylinder works at maximum pressure of 10 Kgf/cm2.